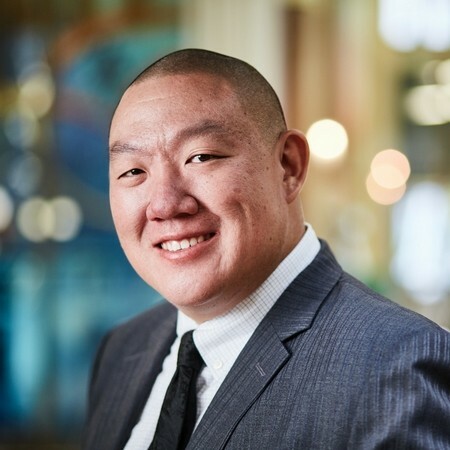 As a St. Louis native, graduate of Washington University School of Law and partner at Stinson Leonard Street, Johnny Wang is no stranger to the region. In fact, he founded St. Louis’ first Asian American Chamber of Commerce in 2013, was appointed by the Mayor of St. Louis to the City’s Minority and Women Owned Business Enterprise Advisory Committee and serves on the board of the St. Louis Civic Pride Foundation. But Johnny felt there was still more to learn, a decision that led him to the 2016-17 class of Leadership St. Louis. How did the experience change your perspective? Leadership St. Louis most definitely has changed my approach. I actively look to identify implicit bias and address situations from a racial equity lens. It has also made me realize that despite growing up in this region my entire life, I actually know very little about it and need to be more proactive to continue to build bridges in our community to improve it. It was an excellent opportunity to do a deep dive into this city. Be an agent of change in our community. It is far too easy to be complacent because problems seem too large to tackle. However, the change our region needs can take place if we start making changes in areas where we have influence. What makes me hopeful is seeing a group of passionate young professionals who are invested in changing the conversation and dynamic of this city from what it has been for the last 50-60 years. I wish others knew how accessible this city actually is from the standpoint of being able to make positive change. How do you describe the program to others? Leadership St. Louis offers incredible relationship building. You basically form 60+ new friendships with a group of people who will always have your back. I have mentors and coaches who are willing to drop whatever is going on in their lives and give me time when I need it.